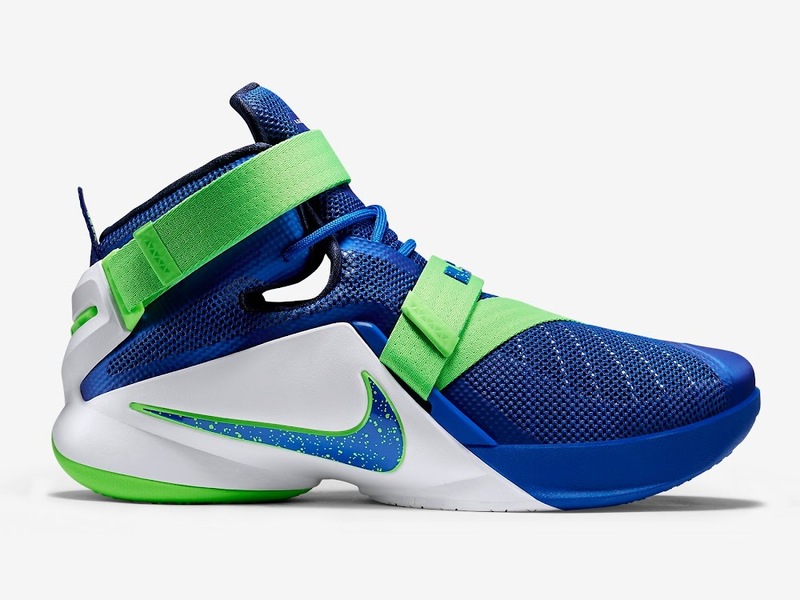 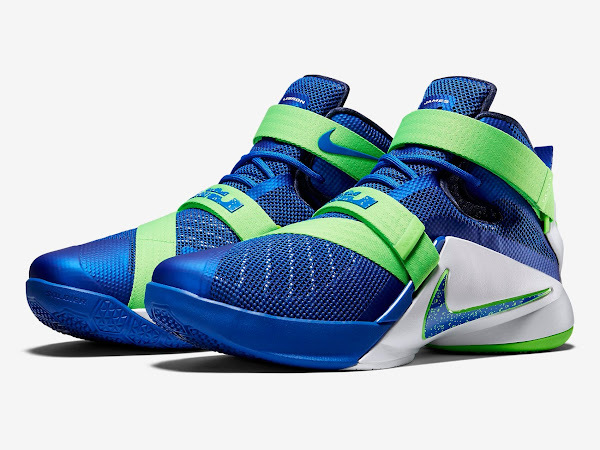 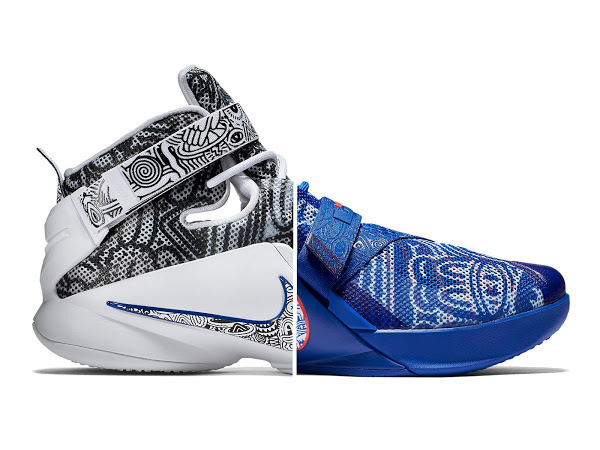 According to Eastbay’s release calendar the LeBron Soldier 9 launches on July 3rd in 6 different colorways! 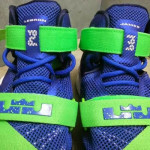 Most of these were already seen online, but there will be a couple of nice surprises, I think. 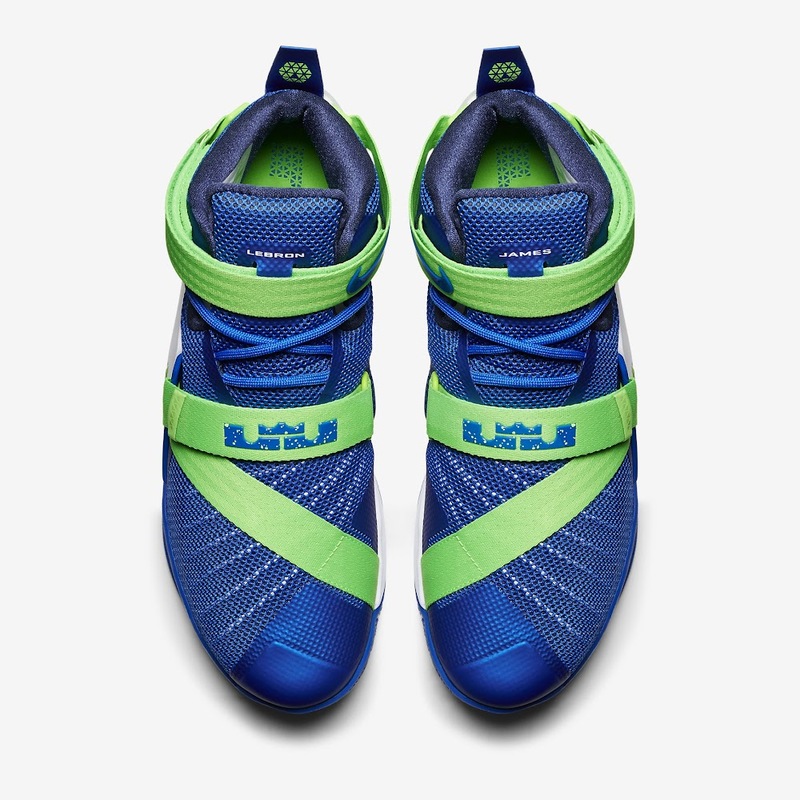 The lineup includes the presented Sprite colorway, which was already available for purchase, but was taken down probably due to the official launch planned for July. 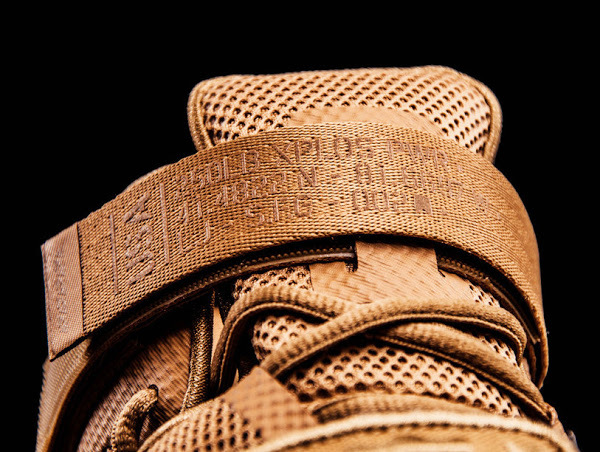 Now we finally get to see some high quality shots of the “Sprite” Soldier IX thanks to nikestore’s official catalog images. 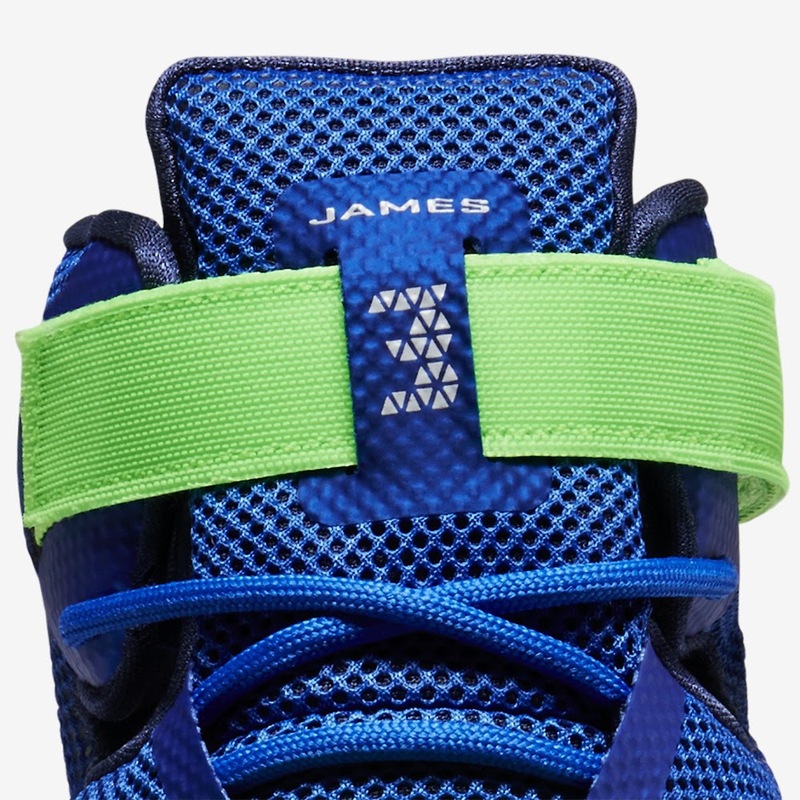 I love how the colors pop on these and it’s already one of my favorite Sprite implementations. 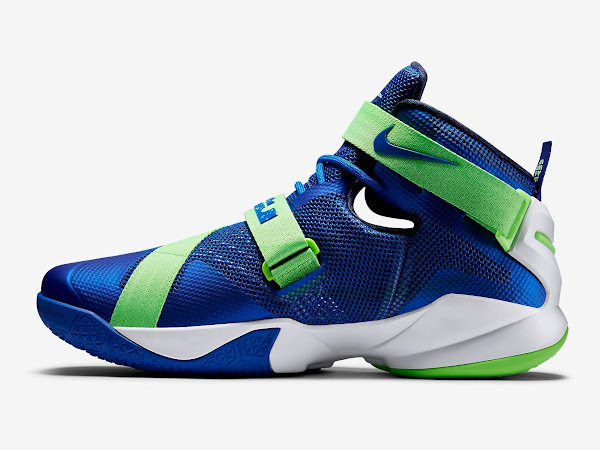 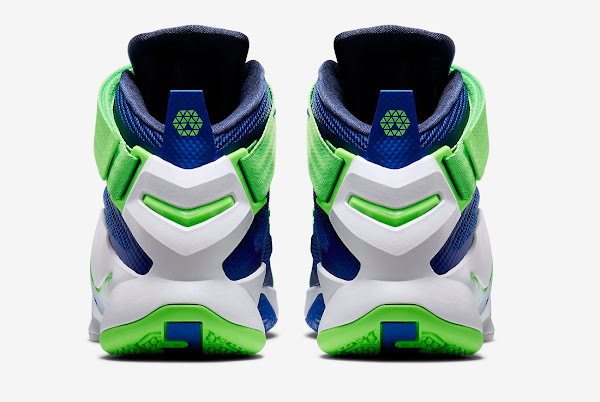 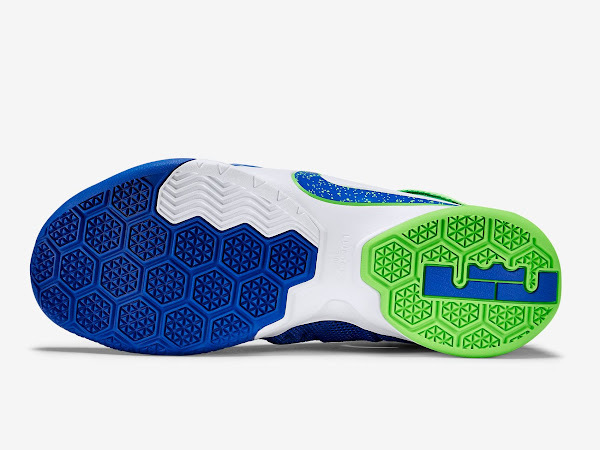 Having already inspected the Soldier 9 in person with the “Quai 54”, I need to say I’m hungry for more. The shoes feel great on feet and can’t wait for more input from others. 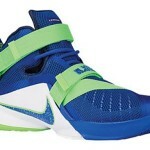 If you’re a fan of the Nike Soldier line, especially the last 3 models, you’ll be all over these, too. 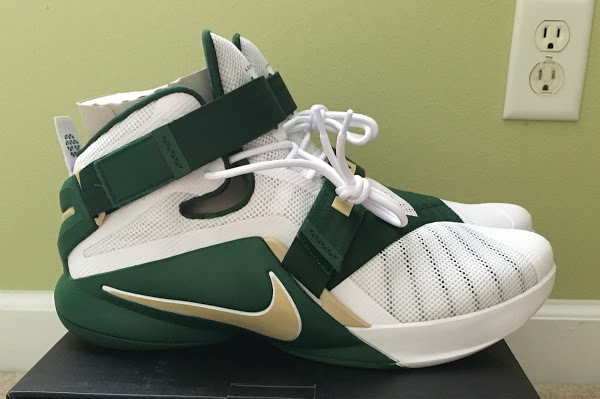 With the projected price-point between $130 and $140, depending on the colorway, you just can’t ignore the value considering the on-court performance.